The Paris-Dakar rally has lost its biggest and most successful factory team. In a massive blow to the rally, KTM – who have won for the last eight years – have pulled out because of a recent rule change which limits bikes to 450cc. “Following the announcement at a press conference on June 4, 2009 of the French “ASO” - the organisers of the “South American Dakar“ that from 2010, only motorcycles with a maximum displacement of 450cc will be permitted to compete, KTM, after eight consecutive victories, has decided to immediately accept the consequences and announces its withdrawal from the “Dakar”. 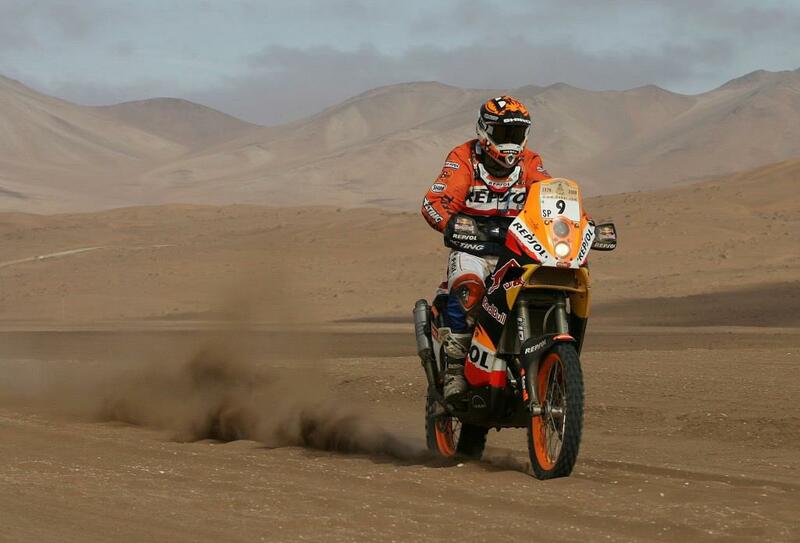 “The company will no longer be represented at the rally in South America either with an official factory team or a KTM-supported team. "At the same time, KTM underlines that the company remains committed to rally sport and will now concentrate its efforts on the world championship and other important rallies. “The organiser’s short term change to the rules, designed to end the dominance of KTM, and which comes without any advance warning, hits the KTM factory hard. More news on this as we get it – full story in MCN on June 10.